Two pleas. One is for a person, the other for a social movement. The person first: Haitham Mohammedain (above). For people who don’t know him, he is a revolutionary and lawyer, the advocate of the Egyptian independent unions, a participant in their struggles against the old corrupt state-run unions and a prominent figure in the country’s Pro Palestinian movement. He was arrested four weeks ago with around 200 others. The fear is that he could be facing a jail sentence of five years for the simple act of demonstrating against the regime. There is a petition for Haitham you can sign here. Behind Haitham’s arrest there is a much larger story: the protest coalition that toppled President Mubarak in 2011 has not gone away. The issue of the hour is the decision of the ruling generals to sell off large parts of the Sinai to Saudi Arabia. Thousands of people have taken part in demonstrations, and a regime which is also coming under international pressure following its murder of Italian student Giulio Regeni, is now showing greater signs of weakness than at any point since the generals took charge in 2013. Now the social movement. 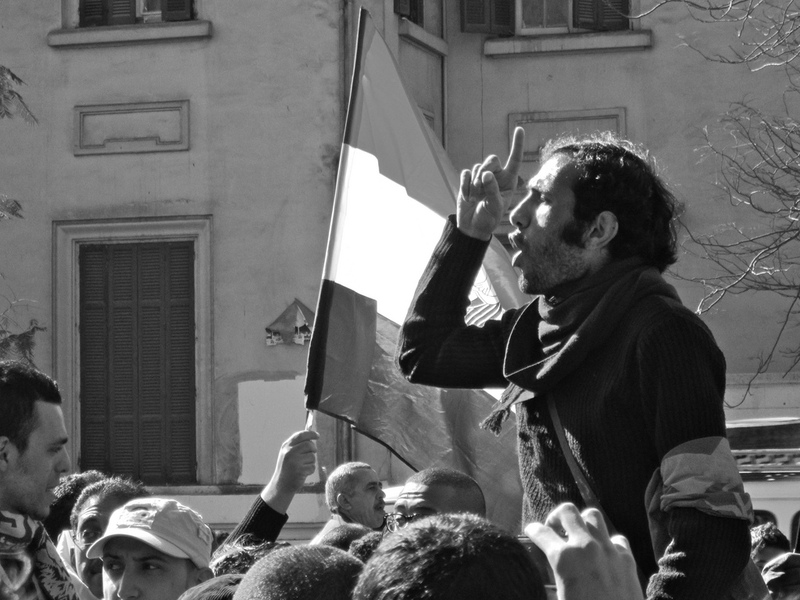 Just as protest has been renewed in Egypt, much the same has taken place in Syria. 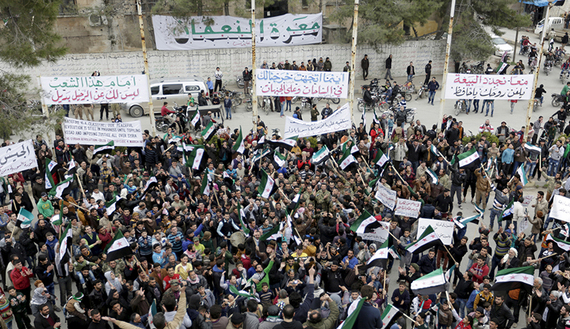 There have been demonstrations in over 100 towns and cities following a ceasefire in March with banners saying that “our revolution is still in progress” and this month an uprising by prisoners at Hama. In the war itself, the Syrian state has been shelling civilians as they received aid, and bombing schools and markets in Aleppo, while its Russian ally has bombed the same city’s hospital. Although there are good examples of leftists here trying to encourage a discussion of the Syrian revolution, the default position of many on the left in Britain has been to think that there is a trade-off between our ability to promote regime change “here” and the acknowledgment of other people’s crimes “over there”. That we in Britain can only protest against “our” leaders (GB, the US) and not against the other imperialist states (Russia). And therefore that if other global powers are taking part in a genocide, we must be silent. When socialists in Syria tells us that the result is a “denial of solidarity,” we should be listening to them. I don’t know of money being involved but the “large parts of the Sinai” claim isn’t right. It made me think I’d missed a big part of the story, that some of the Egyptian mainland was involved. Going to the link you gave I found this is what it says: “Tiran and Sanafir islands in Sinai were given to Saudi Arabia by the Egyptian government without the knowledge of the Egyptian people in some new maritime borders deal” – & this was my understanding. 2) From the same link, glad to see Sharif Kouddous remains free – or at least for the time being. He made excellent reports for Democracy Now! during the 2011-13 days of hope.